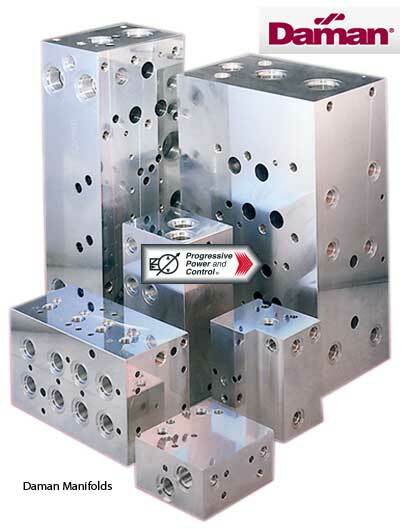 Progressive Power & Control sells Daman hydraulic valve manifolds. Daman manufactures manifolds from 6061-T651 aluminum, ductile iron and stainless steel. Brass and other materials are available as well.